The open-source smart contracts blockchain protocol took a step forward last week when the first live implementation of its next-generation blockchain was released in Rome. Graham Buck reports. For an initiative barely two years old, much expectation has been building around æternity – an open-source, smart contracts blockchain protocol that builds on decentralised cryptographic peer-to-peer (P2P) technology. Much of this expectation is contingent on the ability of its design team to create a more streamlined and faster decentralised application (dapp) platform than that offered by Ethereum. Aeternity has been described as “a very special project” with the ambition of introducing proprietary programming language into smart contracts including building real-world oracles, such as Internet of Things (IoT) sensors combined with other forms of entry data for smart contracts. Hopes that the project can achieve its ambitions were encouraged at the end of last month, dubbed “Genesis Week”. Although æternity is incorporated in the Pricipality of Liechenstein, its team is spread across several countries. Members assembled in a hillside villa near Frascati, south east of Italy’s capital city and close to the famous Cinecittà film studios, for the release of Roma, the first live implementation of its next generation blockchain. 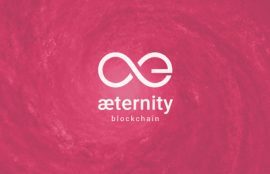 Æternity describes the Roma release as “a pivotal moment in the history of the project, letting early adopters, developers, and miners for the first time test and build upon a live version of its decentralised network,” adding that as an open-source, decentralised project, it can only be initiated by community consensus. Journalists attending the launch were also invited to sit in on a brainstorming session to establish priorities for the year ahead, where compatibility with other blockchain protocols was suggested as a principal aim. Roma’s release was long awaited, having originally been scheduled for late July. It offers a range of technological solutions that address blockchain scalability and enable developers to create decentralised applications in Sophia, the functional programming language developed by æternity. The three declared central aims of the platform are to deliver “unmatched productivity, transparent governance and global scalability,” coupled with a consensus mechanism that delivers maximum efficiencies and cost savings. Vladislav Dramaliev, head of marketing and community, calls æternity “the middle ground between Ethereum and Bitcoin. He stresses that “it’s not only our project, it’s everyone’s project – unlike others out there that are less community-led as they are dominated by a strong leader”. He explains the delay in Roma’s release reflects the extra work involved in incorporating into the æternity protocol the Bitcoin Next Generation (BitcoinNG) consensus mechanism developed by Cornell University’s Initiative for Cryptocurrencies and Contracts, aka IC3, as suggested by IC3’s co-director Emin Sirer. Æternity’s underlying value token, the AE token, is transferable between members and is used to compensate participant nodes for any number of computations performed. All AE token users are may participate in the governance of æternity’s blockchain through a voting process, weighted by how many tokens the user holds. Last month, shortly before Roma’s release, æternity commenced the first phase of migrating AE tokens from Ethereum onto the blockchain’s Genesis block. Æternity’s migration to the mainnet is a four-step process over a period of ten months to next September. With phase 0 completed over a ten-day period in mid- to late-November, phase 1 is scheduled to wind up in February 2019, phase 2 next May and the third and final phase by next September, after which time Ethereum AE tokens will cease to be transferable. “We originally intended to use the same cryptography as Ethereum, but reconsidered due to the ease of copying and phishing,” says COO Emin Mahrt. “We very much wanted to prevent the risk of people losing tokens. Designing and launching a new cryptocurrency platform is a complex process. “Yani had definite ideas on how the system should be implemented and attempted to provide a solid foundation that could not only address current issues but also those likely to arise in the future,” says Dramaliev. However, the launch of Roma is accompanied by a note of caution that stresses æternity is “a work in process” and the initial release is potentially vulnerable to attacks and instability. “As is the case for public blockchain releases and hardforks, there is a period of time required for mining power to accumulate, stabilise and decentralise,” a statement issued by the team cautions. “Despite all the simulations we have performed, a live, public blockchain can only really be battle-tested in the wild. It is possible that code imperfections will manifest themselves and cause disruptions. The æternity team’s aim has been to address the various obstructions in the road to mass adoption of blockchain technology. “At this stage, the more decentralised solutions have not yet become very scalable” comments Dramaliev. “This creates fragmentisation and the goal is to have one single decentralised system. In time, specialisation will be established and some blockchain platforms will disappear. 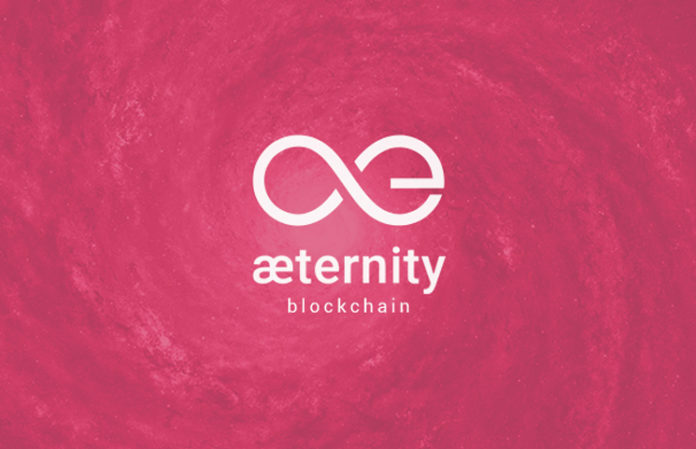 “Our team has the ability to develop the platform for a wide range of business use cases that are as easy to use for enterprises as they are for the individual.” The range of applications that can be created on æternity include nano and micro payments, supply chain management, information markets and multiplayer video games. “We want to see lines of enterprise blurring and an Internet of Value emerge in which it’s much easier to use the entire ecosystem through interoperability, which means removing the barriers that currently separate different blockchains,” adds Dramaliev.